So I’m back friends from Spain!!! I hope you guys enjoyed art book reviews while I was gone. I enjoyed writing them very much and if there are any art books you would like me to review in the future let me know. Being gone for 12 days I naturally missed a number of movies, which I will now need to play catch up. And I saw the film and you know what I actually enjoyed it. It’s a ring down from Finding Dory and Zootopia but I was charmed by the film. Here is my youtube review. I also had the honor and privilege yesterday to be a guest host for the Rotoscopers podcast! I have followed the podcast for some time and am a patron so this was really neat. I hope you guys like my contribution. Please give the video some love and maybe they will invite me back again someday. Anyway back to the movie. Let’s go over some of the pros and cons of the film. 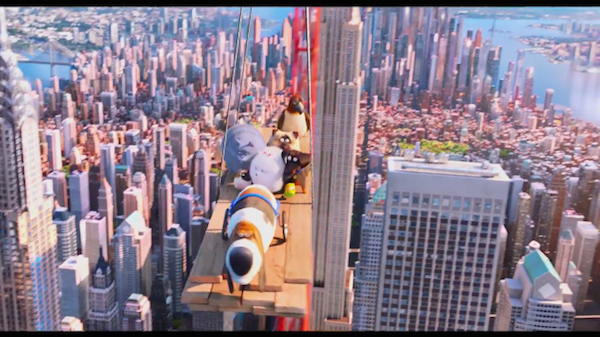 The first thing that struck me right away about the movie is how great the cityscapes and NYC skyline looked. 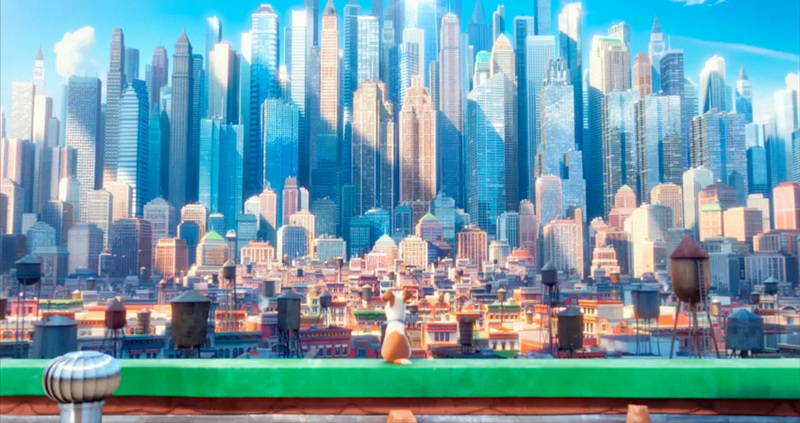 It is the best NYC has ever looked in a film IMO. Not that many films are set in a city so I really enjoyed the urban environment. It reminded me a little bit of NYC in Oliver and Company. 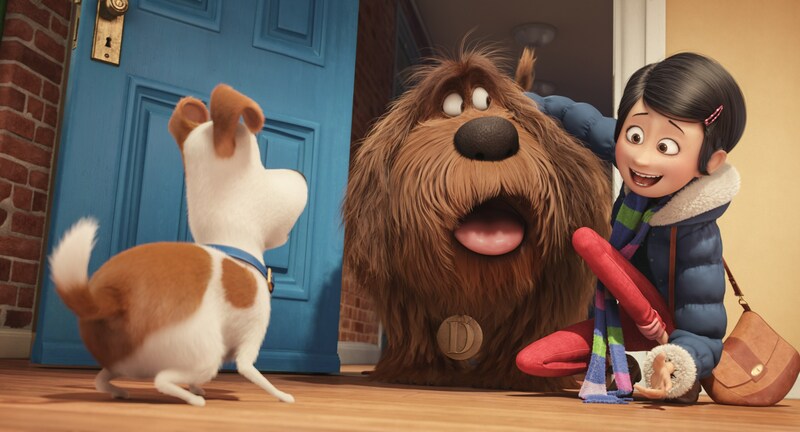 I am not a dog owner but the whole premise of the secret life of pets is adorable. What do pets do after their owners have left the house after all? Unfortunately the movie abandons that premise for a generic search and rescue pretty early on but I still liked the set up. I liked that it wasn’t just dogs and cats but all kinds of pets like guinea pigs and birds as well (even a crocodile at one point!). I didn’t mind the lead characters Duke and Max but my favorite were the side characters particularly Chloe and Gidget. They were very funny. The writing for these side characters was on point and I laughed quite ae bit. Overall I was engaged in the story and thought it was a charming film. But there were some cons so let’s talk about them. A big problem many will point out is the similarity to Toy Story. As you can tell by my love for Good Dinosaur I have no problem reusing storylines from other films; however in this case I feel they missed out on a few things that make Toy Story special. The movie never achieves an emotional moment like the Toy Story films do. There is a weak attempt to do so with Duke’s former owner but it doesn’t work. I think what would have worked better is if their owner Katie had realized they were gone and was upset missing them. That would have given the movie more emotional heft than just a search and rescue film. Also they make Duke a little bit too unlikable. One of the things that makes Woody so jealous of Buzz is how much everyone loves him. We never get any moment to see what makes Duke special or why we should love him. He’s just the annoying new presence in Max’s life and nothing more. Also when they do become a team working together it doesn’t feel earned. 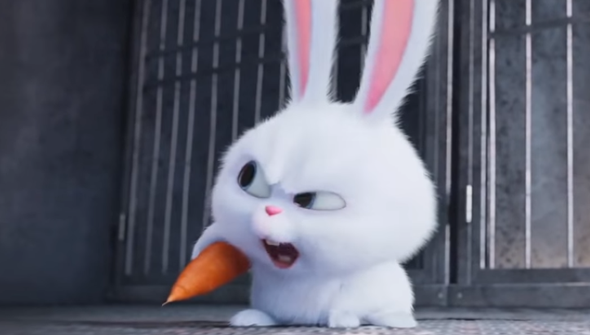 My other problem with the movie is the Underbelly section with Kevin Hart bunny planning a revolution against the humans. There was actually some funny writing and jokes in this section but I found Snowball to be an annoying character. Every line he gives it feels like he is shouting and clenching his fists. I wanted to say ‘calm down for half a second’. The whole underbelly sections of the film feels generic and didn’t do much for me. I also feel certain characters don’t really fit like Tiberius the hawk voiced by Albert Brooks. Maybe I’m too attached to that voice from Marlin in Finding Dory but it didn’t work. Other characters like Pops we don’t really get to see enough of to make him an effective character. However, like I said the banter between Gidget and Chloe is very funny and I liked Max as our lead hero. There’s also some good laughs throughout and our second animals driving a car scene for the summer. I also felt the music cues and score by Alexander Desplat really worked well. 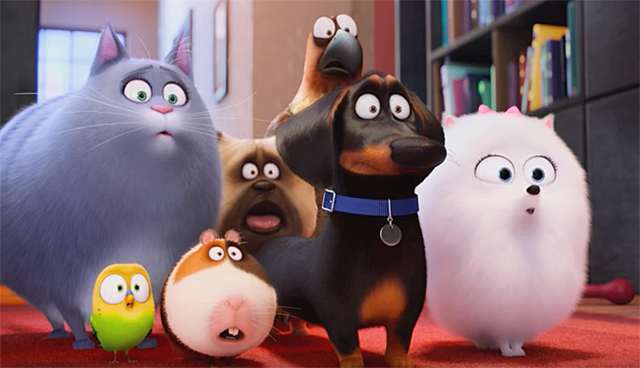 So overall The Secret Life of Pets did have problems but I left feeling happy I have seen it and charmed by the film. I think your kids will enjoy it; although there are some moments of pet peril so be forewarned. It’s not a film you have to jump in the car and see but I liked it. 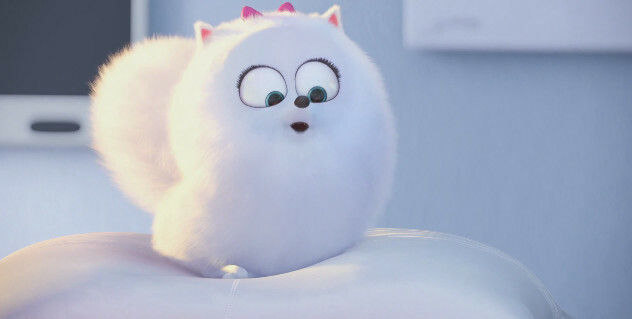 It’s definitely Illumination’s best film by far. Also the Mower Minions I can do without! Get them out of here! 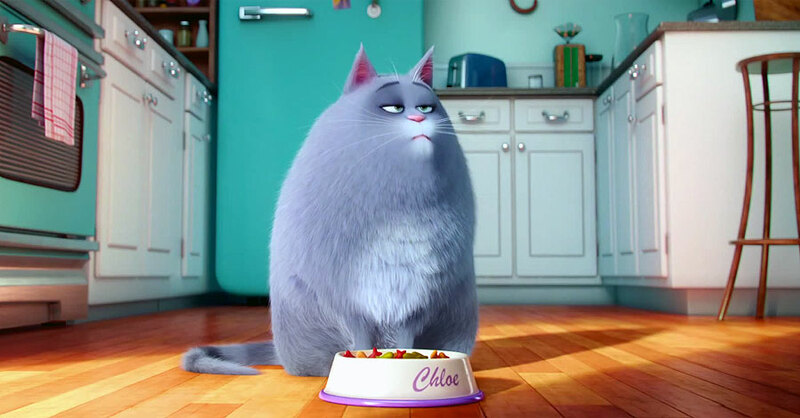 My end grade on Secret Life of Pets is a B-. What would you give it and what did you think of the film? Let me know in the comments section. Solid review AND WELCOME BACK FROM SPAIN! I just posted a few thoughts on this myself. I was pleasantly surprised. I do tend to like the Illumination flicks to varying degrees. This one had quite a bit going for it but with a few hiccups (as you point out). Glad to see you back! I’ve missed your written movie reviews! 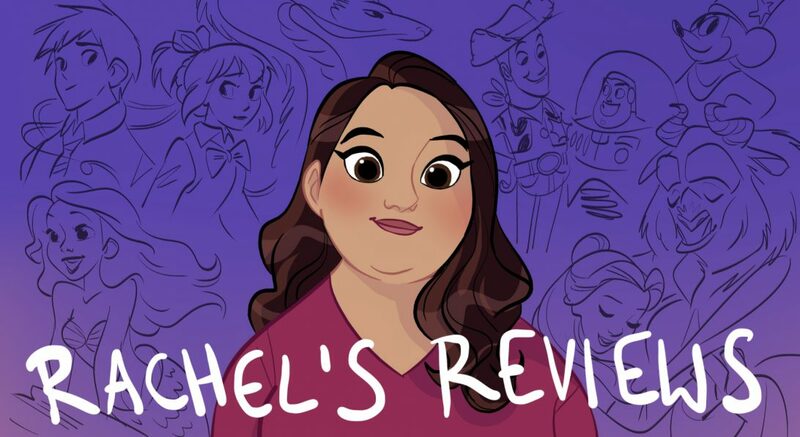 I’ll watch the Rotoscopers podcast after I see the film, but it must have been awesome to have been a guest host on it! Well, I hope this film impresses me! I seem to be the only one that wasn’t excited for this film to come out. I’m much more excited for Sing! Thanks. That means a lot to be missed. It was intimidating to be on podcast but ended up being very fun. Are you a pet owner? I went into it with low expectations but ended up enjoying it pretty well. No, I don’t have pets. I think we’ve had the talk already about how you and I aren’t too fond of animals all that much, lol. I’m especially scared of dogs and uncomfortable around birds. I thought it was quite good just not spectacular. We agree on many points although I LOVED Kevin Hart. He kind of reminded me in spirit of Baby Herman from Roger Rabbit. Finding Dory and Zootopia are still better though. Agreed.